The purchase of a new laser or other device can be an effective marketing tool, if you present it the right way. How to develop practice-wide systems and processes to help deliver a unique and patient-centric experience to up conversion from consult to procedure. Aesthetic developments herald the dawn of a new age of rejuvenation. 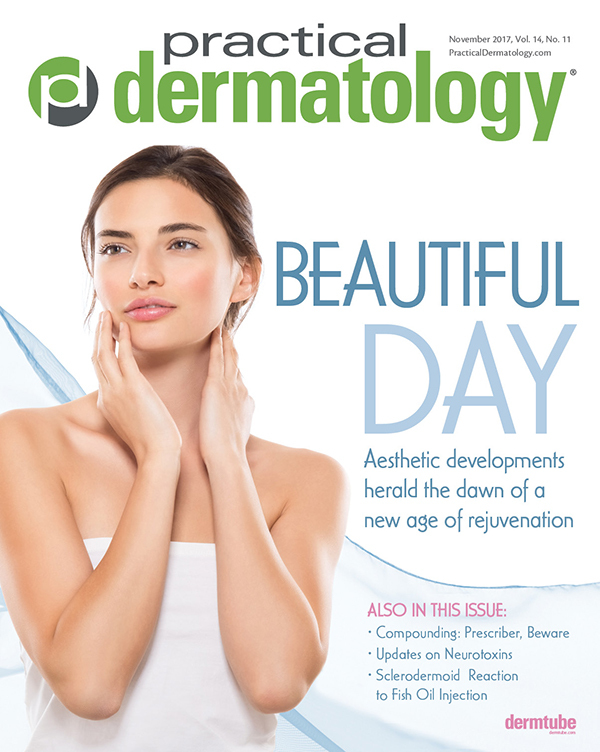 Get caught up on the latest approaches to cosmetic dermatology. A skincare pyramid offers physicians a tool to engage and educate patients about anti-aging skincare options from prevention to reversal. Innovators seek to stand out from the crowd. WDS leaders educate the media on at-home beauty devices, pigment disorders, and more. As use of platelet-rich plasma grows in popularity, a dermatologist undertakes a review of the current evidence. Compounding has been an integral part of the specialty, but changing regulations and new players may converge to bring change. The SDPA has launched the Diplomate Fellowship, the premier training program for dermatology PAs. Expert injectors discuss the promise and perils of Botox Cosmetic's third nod. Five to 10 percent of all nonmelanoma skin cancers occur around the eyes. Use of sunscreens in this area is essential. Two strategies for recapturing dollars left on the table. Deirdre O. Hooper, MD, Audubon Dermatology, New Orleans, LA. Early, effective acne treatment can prevent scarring.